Highlights of the Sky Bet Championship match between QPR and Derby. 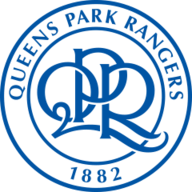 Derby's promotion hopes suffered a setback as goals from Tjaronn Chery and Gabriele Angella gave QPR a 2-0 victory at Loftus Road. Chery brilliantly volleyed in James Perch's cross and Angella sealed Rangers' win by burying Matt Phillips' left-wing free-kick at the far post with four minutes remaining. 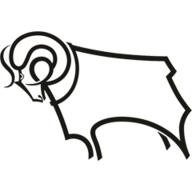 It was a disappointing night for the Rams, who had won three of their previous four Sky Bet Championship matches under recently-appointed boss Darren Wassall. Rangers, meanwhile, picked up only their fifth win in 18 matches since Jimmy Floyd Hasselbaink took over as manager in December, and the west London side still have an outside chance of reaching the play-offs. In-form 'keeper Alex Smithies played a major part in Chery's 24th-minute opener. Smithies threw the ball to Perch near the halfway line and the full-back galloped down the left and picked out the Dutch midfielder, who guided the ball into the net with a sublime left-footed strike - his third goal in his last five matches. Earlier, Sebastian Polter, back in the QPR starting line-up along with Clint Hill, Phillips, Junior Hoilett and Alejandro Faurlin, went close with a long-range shot that went just wide. And four minutes after his goal, Chery tried his luck with another left-footed effort that that flashed narrowly wide too. Rangers went close again seven minutes before the break when Phillips was just unable to connect with Hoilett's left-wing cross. Derby pushed for an equaliser in the second half but struggled to create clear-cut chances. Chris Martin's mis-hit shot was easily gathered by Smithies, and Rangers defended resolutely to keep the visitors at bay. Veteran defender Hill, playing in the absence of the injured Grant Hall, threw himself in the way of Jeff Hendrick's shot and Tom Ince's cross. Perch also showed great determination when he headed clear at the far post to prevent Johnny Russell's cross reaching Ince. Martin, who had scored in three of his previous four games, saw his deflected free-kick bounce on to the top of the bar as his team continued to apply pressure. Wassell sent on striker Darren Bent, who saw a low shot pushed away by Smithies shortly before Derby 'keeper Scott Carson got down quickly to stop a shot from Hoilett. Wassall introduced another forward, Nick Blackman, for the final 11 minutes in an attempt to salvage a point. But QPR stood firm and then doubled their lead when Angella thumped home from close range - the Italian defender's first goal since his summer move from Watford.